It’s easy to think, in this digital age, that everyone is turning to emails or other electronic means to pass on information about products and services, or to alert clients to noteworthy deals and events. It’s also tempting to speculate that marketing departments are casting letters aside in favour of cutting-edge technology. It’s time to think that, then think again—and we have the statistics to prove it! The Advertising Association and the World Advertising Research Centre (WARC), global authorities on advertising and media effectiveness, and providing definitive reports about advertising activity in the UK, have published their latest research. It’s official! In 2017, spending on direct mail went up by 5.9% from the same period in 2016. That’s the best news in this sector since 2011. Direct Mail also retained its place as the third most popular advertising medium in 2017. Across the UK, a massive £2bn has been spent on direct mailing, with the total spending on advertising being £5.5bn. No doubt you’re wondering which marketing platforms beat it into third place. Have a guess! Answers at the end of this blog. [i] Were you right? 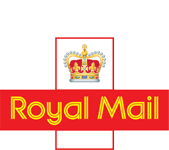 Advertising, including direct mailing, is a vital part of UK business, driving growth and boosting prosperity for small companies right through to multinationals. Now here’s another statistic: The right Advertising generates more than six pounds for every pound spent. That’s something to consider when setting a company budget. Here at Mailing Expert, we’re ready and able to help you with your campaigns, especially direct mailing. Yes, the 25th of May, 2018 is upon us very soon, and the greatly anticipated General Data Protection Regulation (GDPR) will arrive in the UK. This is good news for mailing by post. The Information Commissioner’s Office says this, in its FAQ section: ‘You won’t need consent for postal marketing…you can rely on legitimate interests for marketing activities if you can show how you use people’s data is proportionate, has a minimal privacy impact, and people would not be surprised or likely to object.’ And, everyone loves a letter! How about a Direct Mail campaign then? [i] In first place, the internet; second place, TV.